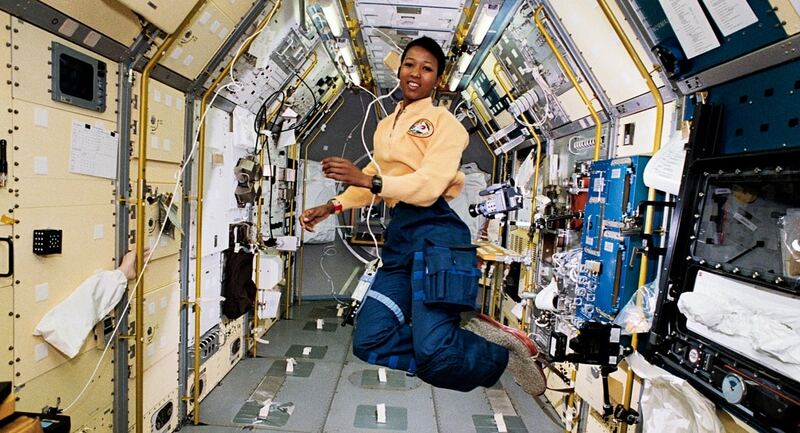 Everyone knows that Dr. Mae Jemison was the first African American woman to travel into space – but many don’t know that an African American woman “suited her up”. McDougle was Jemison’s suit tech for the historic mission STS-47 aboard the Space Shuttle Endeavor September 12, 1992. McDougle worked closely with her during her training leading up to launch, as well as actual launch day and landing of the space shuttle – taking care of all of her assigned crew escape equipment – her suit, helmet, writing utensils, even her diaper. McDougle joined the NASA family through Boeing Aerospace Operations in 1990 where she worked as a Flight Equipment Processing Contract team member in the Space Shuttle Crew Escape Equipment (CEE) department. She began her career as a CEE Suit Technician and was responsible for processing the orange launch and entry suit (LES) assemblies worn by all NASA space shuttle astronauts. She was assigned to her first mission STS-37 within a year. McDougle was one of only two women CEE Suit Technicians and the only African American technician when she began her career. 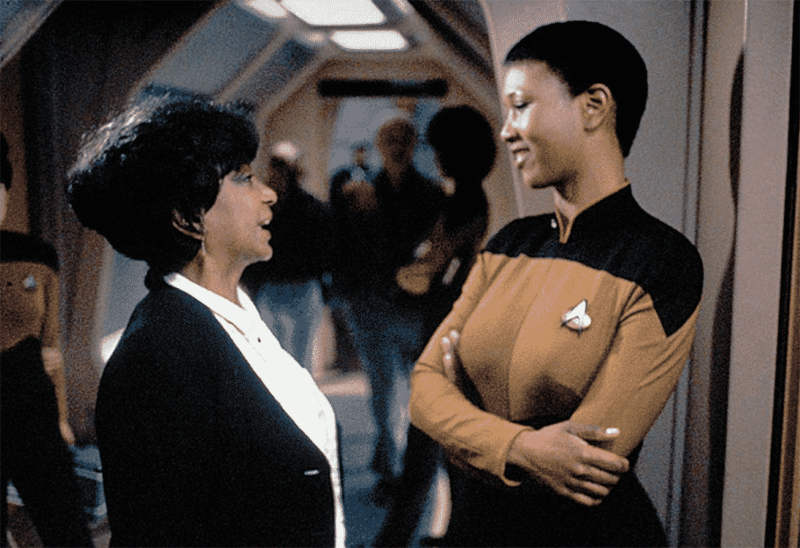 In 1994 McDougle was promoted to the position of Crew Chief making her the first female and first African American Crew Chief in CEE. In her new position she was responsible for leading a team of technicians to suit up astronaut crews. She was responsible for leading her team and ensuring the astronaut crews were provided with outstanding support during suited astronaut training, launch, and landing events. In 1998, United Space Alliance (USA) absorbed the Boeing Aerospace Operations contract and McDougle continued in her position as a CEE Crew Chief employed by USA. She traveled to Kennedy Space Center quite often where she worked in support of many space shuttle launches. As Crew Chief McDougle had the honor of leading the first and only all-female suit tech crew supporting space shuttle mission STS-78. In 2004 McDougle became the first female and first African American promoted to the position of Manager of the CEE Processing department. In this position, she managed the team of 25+ employees responsible for processing the Advanced Crew Escape Suit (ACES) and related equipment worn by the astronaut crews aboard the space shuttle. Her team assisted the astronaut crews in donning/doffing the suit, testing the equipment, strapping the astronauts into the space shuttle before launch, and recovering the crew upon landing. She held this position until the Space Shuttle Program ended in 2011. Sharon continued working until 2012 to help close-out the program, ending an illustrious 22 year career with the space shuttle program. Other notable African-American astronauts McDougle has suited up: Charles Bolden, Frederick Gregory, and Dr. Bernard Harris. 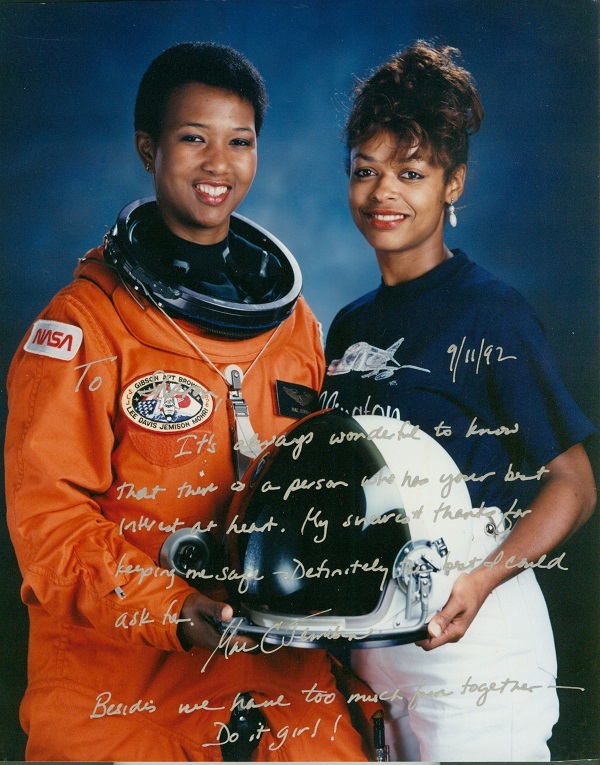 During her career she was recognized with the Astronaut “Silver Snoopy” Award, Space Flight Awareness Honoree Award, USA Employee of the Month Teamwork Award, USA Employee of the Month Community Service Award, and the coveted Women of Color in Flight Award from Dr. Mae Jemison recognizing her career as the first and only African American woman suit tech/crew chief in her field. 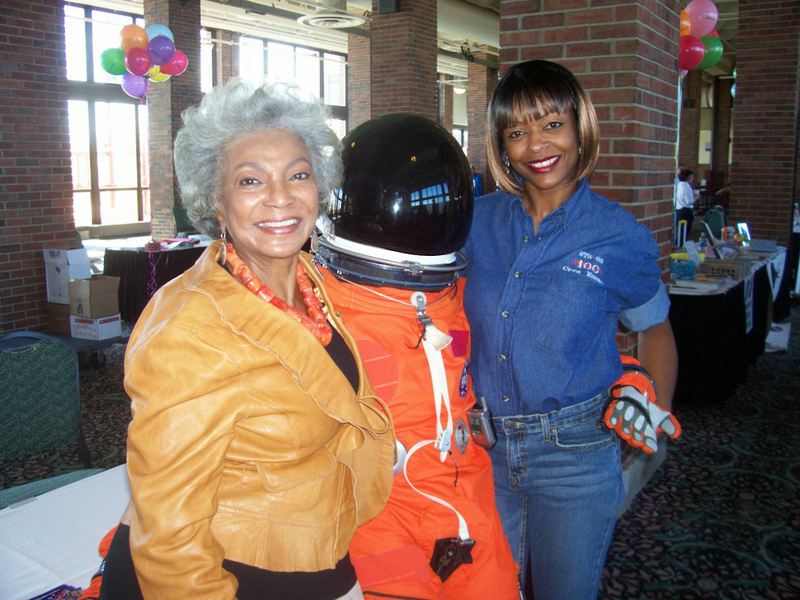 She absolutely loved her job and is proud to have been a part of our nation’s historic Space Shuttle Program. McDougle was recognized by her home state as a 2018 Mississippi Trailblazer at the 16th Annual Mississippi Trailblazers Awards Ceremony and Black Tie Gala where she received two awards: the Calvin “Buck” Buchanan “FIRST” Award named for Mississippi’s first United States Attorney for the Northern District – honoring a Mississippian who holds the distinction of being the “first” in their profession and the Dr. Cindy Ayers “Legacy” Award honoring a Trailblazer whose singular work and contributions will leave a legacy long after their life has ended. Most recently, McDougle received the Lifetime Achievement award from the Moss Point Visionary Circle during their 6th Annual Living Legends Ball for her military service and NASA career. 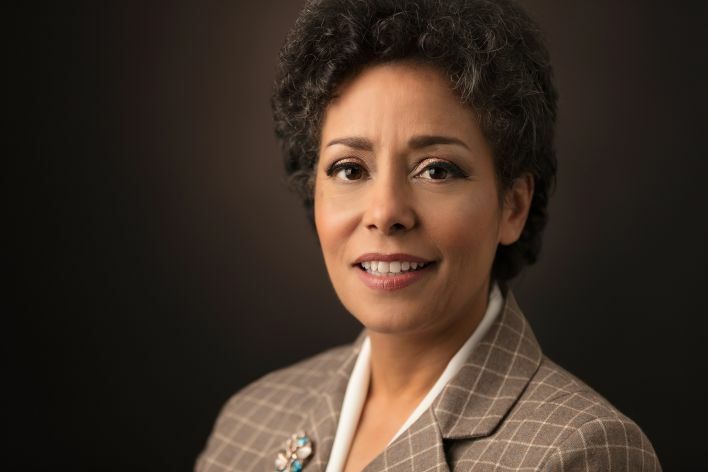 McDougle is also a United States Air Force (USAF) veteran, which is where she began her aerospace career in 1982 after graduating from high school. She served proudly in the Strategic Air Command (SAC) as an Aerospace Physiology Specialist at Beale Air Force Base, CA (1982-1990), reaching the rank of Sergeant (E-4). During her enlistment she was a member of the Physiological Support Division (PSD). McDougle was responsible for training the SR-71 and U-2/TR-1 (“spy planes”) reconnaissance aircraft pilots on high altitude operations. She performed hazardous duty as an inside observer chamber technician and as a chamber operations team member during hypobaric (altitude) and hyperbaric (dive) chamber operations. During the hypobaric chamber flights crewmembers learned firsthand how hypoxia affects their judgment while flying an aircraft. The crewmembers were taught and practiced how they would handle these types of situations and the importance of wearing all equipment correctly. McDougle also inspected and maintained flight equipment used for the SR-71 and U-2/TR-1 missions. The equipment included full pressure suit ensembles (helmet, gloves, boots, etc. ), harness assemblies, and survival equipment (seat kits and parachutes, and emergency oxygen systems). She sized and fitted crewmembers’ pressure suits, assisted crewmembers in donning and doffing their suits, and performed functional tests before takeoff. She also loaded the survival seat kits and parachutes into the aircraft, strapped-in the crewmembers before take-off, and recovered the crew upon landing. McDougle spent much of her enlistment on temporary assignment traveling abroad to Greece, Korea, Japan, and England, as well as stateside locations, in support of the SR-71 and U-2/TR-1 reconnaissance aircraft missions. She separated from the Air Force in 1990 with an honorable discharge. During her enlistment she was awarded the Humanitarian Service Medal, Air Force Outstanding Unit Award (2 devices), Good Conduct Medal (1 oak leaf cluster), Training Ribbon, NCO Professional Military Education Ribbon, Longevity Service Award, and was also recognized as Airman of the Month. Everyone feels anxious or stressed out at times, but people can often overlook their overall mental health. Some UNC grad students think this is especially the case for African Americans. 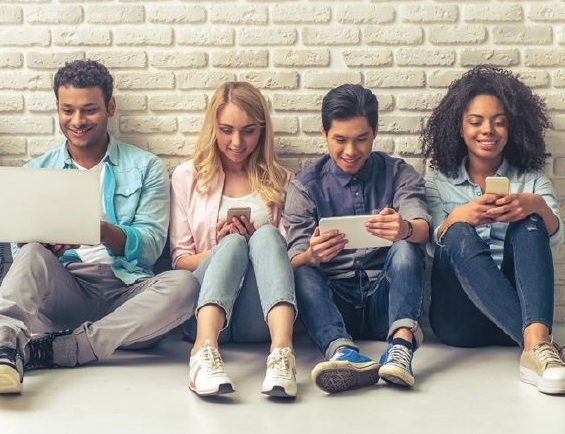 Technology has become a necessity for many people today, and the App Store is flooded with resources that can help or improve someone’s life. 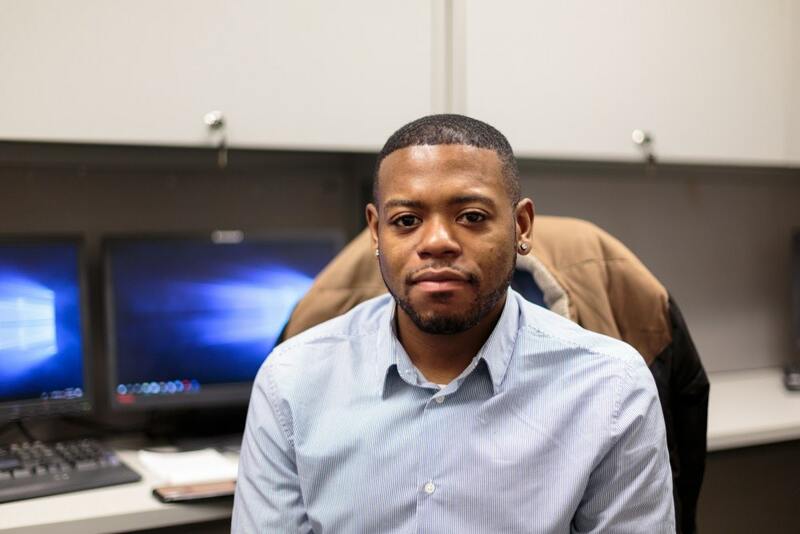 Henry Willis, fourth-year doctoral candidate of psychology and neuroscience in the clinical psychology program, is leading the development of a mental health app that will target African-American young adults. He believes African Americans’ mental health is important but is often overlooked. This mental health app will cover a broad scope of things, but it is currently in the development stage. The first version will be on a website, but it will function like the final product, which will be a mobile app. Once they have enough data, Willis and the people helping him develop the app plan to do a pilot test and then export it to the Apple Store. Since many apps and other products on the market aim to help people improve aspects of their lives, including weight management apps, Fitbits and Apple Watches, Willis thought a mental health app for Black people could be useful to many people who may not have thought about their mental health before. Within the app, Willis hopes to help people get a basic understanding of mental health and some of the things they can do to cope with negative mental health symptoms. For the complete article, continue on to Daily Tar Heel. Eddie Ndopu wants to become the first physically disabled person to travel to space. MTV will follow a South African activist on his quest to become the first physically disabled person to travel to space. Eddie Ndopu, 27, was born with spinal muscular atrophy and given a life span of five years. He has obviously exceeded that, going on to earn a master’s degree in public policy from Oxford and has spent more than a decade advocating for the rights of disabled young people. Now Ndopu is hoping to travel to space and deliver a message from above Earth to the U.N. General Assembly, sending “a powerful message on behalf of young people everywhere who have ever felt excluded by society.” MTV cameras will follow him as he enlists an aerospace company to facilitate the mission and chronicle his thoughts and emotions as the launch approaches. The cabler will also document his voyage and message to the United Nations. Continue on to The Hollywood Reporter to read the complete article. It’s a great time to learn how to code. Whether you’re looking to reinvent your career and become a developer, leverage a new skill in your current job, or just better understand what the developers on your team are up to, there has never been a better time to get into programming. There’s been an explosion of coding boot camps and online resources to help you get started. But it’s a double-edged sword: with near-unlimited resources, countless different languages—and a rabbit hole of passionate voices debating which are the easiest to learn, best to help you get a job, and so on—where do you start? The best way to learn to code is to stop endlessly analyzing what to learn and just start. So, with a giant disclaimer that these aren’t all of the languages you could consider learning to start your coding journey, here are a few languages you can learn. 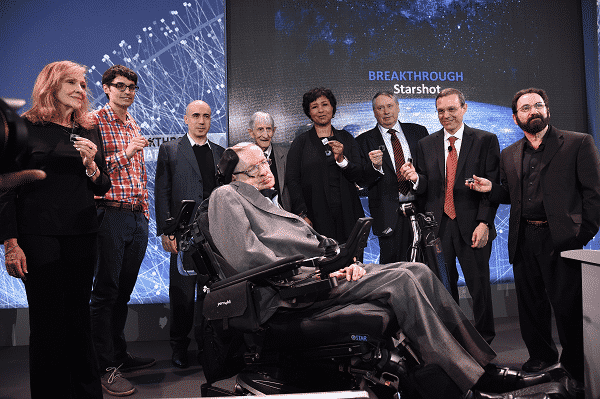 There’s a massive amount of data out there. Companies that harness it can create better products and understand their businesses better; companies that don’t lose their competitive edge and get left behind. But while at its core, data science may be similar to your high school stats class, with so much data (hundreds of millions of records), your old spreadsheet is the wrong tool for the job. That’s where code comes in. The R language is super specific to statistics, whereas Python is a general-purpose language that happens to have great tooling available to make it a perfect language for data science. It’s actually similar to Ruby in a lot of ways: easy to read, forgiving for beginners, and there’s a passionate community around it, devoted to creating and improving the tooling to make Python even more powerful. Still not sure where to start? That’s OK! There’s really no correct first language to learn. The important thing is to consider what you’re excited to build, what language will help you do that, and then to just start learning! Source: This piece was originally published by WeWork, which provides companies with the space, technology, and services they need to success. If Butterfield-Jones makes fulfilling sky-high ambitions sound deceptively easy, perhaps it’s because of the heights she has already achieved. A former senior-level Obama campaign consultant, she was hired by Google in 2016 for a newly created position: Global Head of Women and Black Community Engagement. It’s well-known that tech has a gender and a racial diversity problem. As of 2016, the most recent year for which figures are available, Google’s workforce was only 2% black and 31% female. Butterfield-Jones has been tasked with helping the company better reflect the diverse world it works in. “It’s trying to disrupt the status quo,” she says, with a smile that belies her determination. 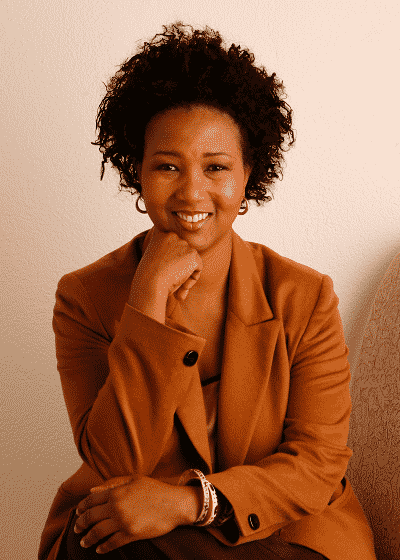 When it comes to increasing diversity in tech, Butterfield-Jones thinks the greatest challenge is “decoding what the real barriers to entry are, for people of color and for women.” To that end, as one of her first projects at Google, she organized an event called Decoding Race, which took place at nine of the company’s offices around the world. Van Jones spoke with Google’s chief legal officer David Drummond, and over 15,000 employees took part in facilitated discussions about race, gender, access, and equality. 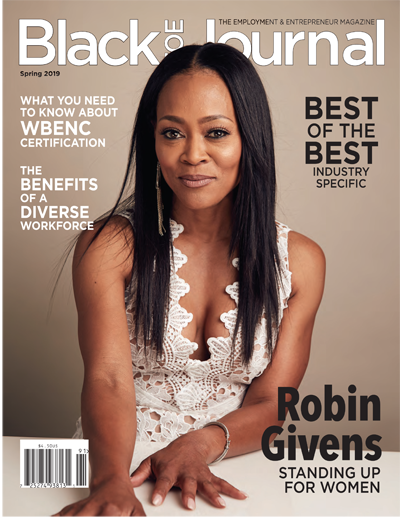 She has also founded a program that connects talented students at historically black colleges and universities with Google internships. Continue onto Harper’s Bazaar to read the complete article. Wayne Sutton is a serial entrepreneur and co-founder of Change Catalyst and its Tech Inclusion programs. Change Catalyst is dedicated to exploring innovative solutions to diversity and inclusion in tech through the Tech Inclusion Conference, training, workshops and the Change Catalyst Startup Fellows Program. Sutton’s experience includes years of establishing partnerships with large brands to early stage startups. 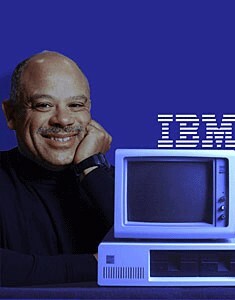 As a leading voice in diversity and inclusion in tech, Sutton shares his thoughts on solutions and culture in various media outlets, where he has been featured in TechCrunch, USA Today, and the Wall Street Journal. In addition to mentoring and advising early stage startups, Sutton’s life goal is to educate entrepreneurs who are passionate about using technology to change the world. Wayne has over 14 years’ experience in technology, design, and business development. Wayne has been recognized as one of the Silicon Valley 100 coolest people in tech, one of the 52 hottest new stars in Silicon Valley, one of the 46 Most Important African-Americans In Technology by Business Insider and one of the Top 100 most influential black people on social media in 2014. In 2014 Wayne co-founded BUILDUP, a non-profit designed to support an inclusive ecosystem of entrepreneurs through educational workshops and fellows program for underrepresented tech founders. In 2011, Wayne co-founded the NewMe Accelerator, the first minority led startup accelerator/incubator in Silicon Valley which was featured in CNN Black in America 4. Prior to NewMe he worked in media in Raleigh, NC for NBC17 and the News and Observer. In 2009, Wayne was the co-founder of TriOut, a mobile location-based startup in Raleigh, NC which exited. Wayne has worked with large brands, Inc 500 companies and advises several technology startups. With a passion for community Wayne has organized Social Media Conferences, tech meetups, and hackathons such as the world’s first Food Hackathon, which assembled leading food innovators, chefs, developers, designers and entrepreneurs to collaborate on solutions in the food ecosystem. Wayne has been featured on CNN, BBC, USA Today, TechCrunch, Mashable, Black Enterprise, and various online media outlets. Being an early adopter, Wayne was one of the first 1000 users on Twitter, which has led to a loyal following not only on Twitter, but also Facebook and Google+. His blog SocialWayne.com has been ranked one of the 50 best technology and social media blogs in the world over the years. Wayne is a past TED attendee in 2012. With a passion for education and storytelling, Wayne has spoken at several universities and major internet and technology focused conferences, such as Stanford, UC Berkeley, Duke, UNC, NC State, TEDx, World Wide Web(WWW) Conference, O’Reilly Web 2.0 Expo, South By South West (SXSW), DockerCon 2015 and for the U.S. Embassy Jamaica during Global Entrepreneurship Week 2015. According to the National Science Foundation (NSF), minority women comprise fewer than 1 in 10 scientists and engineers in the United States. Studies from researchers around the world reveal that one antidote to this disparity is to ensure there are more role models in underrepresented communities. 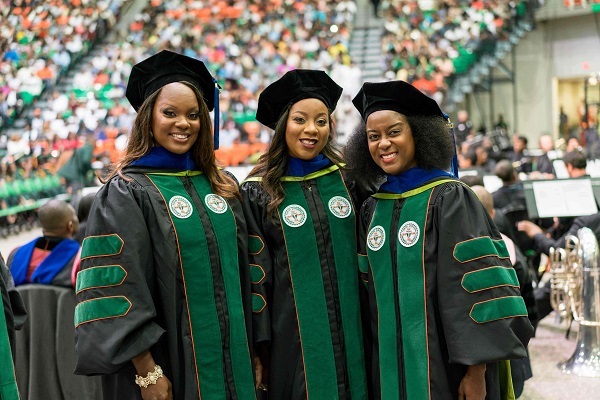 Three Florida A&M University (FAMU) female doctoral students, who are also best friends, recently received their doctorates in engineering. They endured setbacks, including the loss of a classmate, and overcame financial hurdles to ensure that they join the next generation of engineering leaders who will help close that gap. On April 29, Miami native and Fulbright Scholar Renee Gordon, pictured left, received her doctorate of philosophy in mechanical engineering; Miami Beach native and Winifred Burks-Houck Professional Leadership awardee Shannon Anderson, pictured right, received her doctorate of philosophy in civil engineering, with a concentration in environmental engineering; and Birmingham, Alabama, native and NSF International Research Experiences grantee Marcella Carnes received her doctorate of philosophy in civil engineering with a concentration in structures. Each earned their doctorate degrees under the guidance of FAMU’s School of Graduate Studies and Research and through support as participants in the FAMU-FSU College of Engineering Title III Funding Program. They are considering next steps, including job offers and research opportunities. In the meantime, Gordon and Anderson will spend the summer teaching and helping to recruit the next generation of engineering students, while Carnes prepares for her wedding. In addition to inspiring the next generation to break barriers, the trio wants to encourage them to pursue careers that will improve our way of life. They say the best place to develop a career that makes a difference is at FAMU. “Not only did we receive the financial support, but we also received emotional support; we received the bond that we share in this community and a family that’s striving to achieve the same goal. We have a shoulder to lean on when we feel like we can’t move on,” said Carnes, who also enjoyed unique opportunities when she studied abroad in Poland as a part of a program that allowed her to study civil engineering at campuses in four countries. “FAMU’s programs have been a tremendous help in assisting us both academically and professionally. The faculty and staff have been amazing,” Gordon said. Anderson, who completed two engineering fellowships in California, including the Nuclear Science and Security Consortium Summer Fellowship at the University of California, explained how her experience at FAMU empowered her to embrace her culture and who she is as a scholar. The women agree that confidence helped the trio work through system crashes, equipment failure, multiple trials and errors, and even with overcoming tragedy, as they all worked toward the finish line of their education. “She would have been the first woman to graduate with her engineering Ph.D., from the Title III program at FAMU. So, we were next in line to just follow her example, her dedication, her passion and drive,” Anderson said. Beach’s legacy helped motivate the young women to complete their goals. Gordon explained the loss of Beach and earning a degree in a field where women and ethnic minorities are underrepresented taught her and her friends the lesson of a lifetime: Nothing is impossible when you persevere. “It was tough, but we had each other. We stayed connected. Just keep on going. Be determined. Be persistent,” Gordon said. Twitter met or surpassed many of the diversity and inclusion goals it set for itself for 2017, the company announced today. Twitter is now 38.4 percent female, compared to 37 percent in 2016. 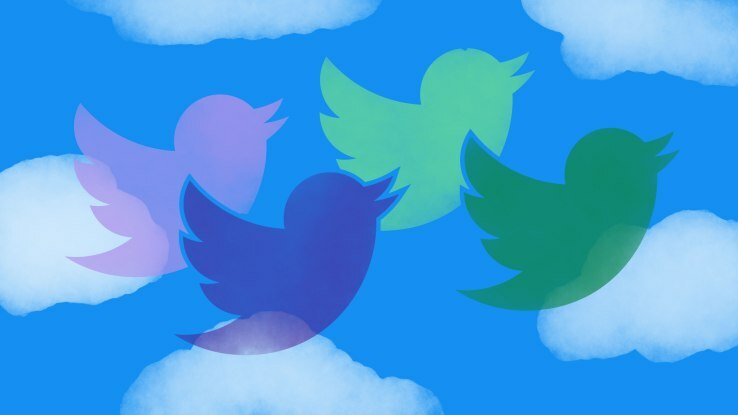 Regarding underrepresented minorities at Twitter, representation increased from 11 percent in 2016 to 12.5 percent in 2017. While Twitter increased the overall representation of women and underrepresented minorities, it missed its goals for overall representation of underrepresented minorities, as well as underrepresented minorities in technical roles. At the leadership level, Twitter went from 30 percent female in 2016 to 32.5 percent female in 2017, and underrepresented minorities now account for 10.1 percent of employees at the leadership level, compared to just 6 percent in 2016. Continue onto TechCrunch to read the complete article.